Our people in Darjeeling are most gullible, and when it comes to our rights we would rather bear the suffering than raise our voices. 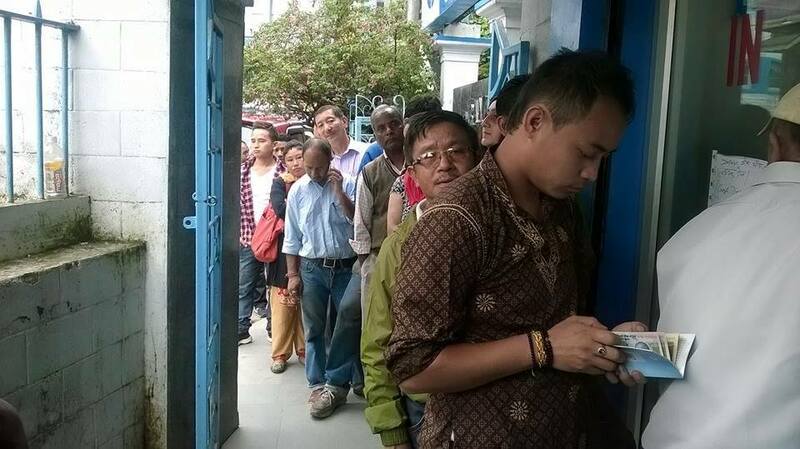 This is the picture from the main branch of State Bank of India in Darjeeling. Our reader Mr Vishal Biswakarma writes, “had to wait at SBI for 2 hours to deposit money…” and it wasn’t just him, hundreds of people have to face this difficulty every day, yet NO ONE has bothered to lodge an official complaint. We request our people to kindly raise your voices, the banks are not doing us any favour, to get service in time is OUR RIGHT… and it is the duty of these public institutions to provide proper service. Wake up Darjeeling… stand up for your rights!! Be the first to comment on "Speak Out For Your Rights"